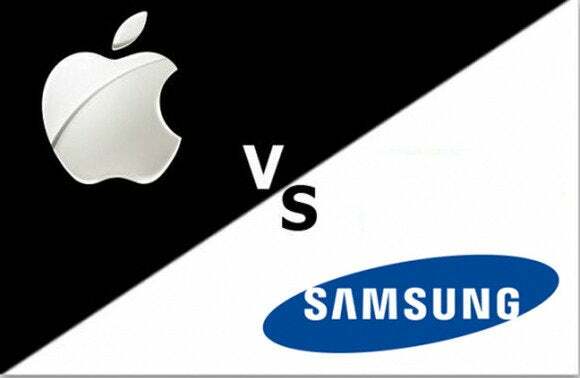 Apple and Samsung Electronics exchanged heated words in court Tuesday over allegations that Samsung’s lawyers leaked details of confidential Apple licensing agreements to Samsung executives. Apple asked the court to impose “severe sanctions” against Samsung for the disclosures, which it says allowed the South Korean firm to gain unfair leverage in negotiations with Apple and other companies. William Lee, an attorney for Apple, said there had been a “massive disclosure of highly confidential information” by one of Samsung’s outside law firms. “What we’ve discovered is remarkable in scope and remarkable in the extent of the violations,” he told Magistrate Judge Paul Grewal at the U.S. District Court for the Northern District of California in San Jose. Samsung’s lawyers shared the information, including terms of an Apple license contract with Nokia, with more than 200 people, according to Lee, including 90 Samsung employes and attorneys at 19 different law firms, some of which are involved in lawsuits against Apple. “It talks about Apple’s negotiating strategy, it talks about how they view licenses. That information is now in the head of every single Samsung licensing executive. We need to come up with a remedy that will address that,” Lee said. The law firm in question, Quinn Emanuel Urquhart & Sullivan, doesn’t deny disclosing the information but says it did so “inadvertently.” It says far fewer Samsung employees read the documents than Apple suggests and that any consequences were minimal. The dispute has become an unexpected sideshow in a worldwide legal battle in which Apple accuses Samsung of infringing its patents and trademarks for the iPhone and iPad. Companies keep terms of their licensing deals strictly confidential for competitive reasons. That’s especially true for Apple and Samsung, who as Lee told the court Tuesday are currently trying to negotiate an end to their worldwide legal dispute. For now, Apple and Nokia, which has joined Apple for this part of the case, want the court to force Samsung to comply with its order to provide them information about the extent of the leaks, which they say it has failed to do. For now, Apple and Nokia, which has joined Apple for this part of the case, want the court to force Samsung to comply with its order to provide them information about the extent of the leaks, which they say it has failed to do. Quinn Emanuel has essentially been investigating itself, an attorney for Nokia told the judge. “It has completely, utterly failed,” he said. Grewal wasn’t ready to decide on the matter Tuesday. “I am not yet satisfied that sanctions are warranted in this matter,” he said. But he hasn’t ruled out the possibility either, and said he would review more documents before making his decision. But Quinn Emanuel acknowledges posting to an FTP server a version of the damages report that hadn’t been sufficiently redacted, or blacked out. From there, it was accessed by Samsung employees who emailed it around the company. The leak came to light in June during a license negotiation between Samsung and Nokia. According to testimony from Nokia’s chief intellectual property officer, a Samsung executive told him at the meeting that he knew the terms of Nokia’s licensing contract with Apple. The Samsung executive told Nokia that Apple had produced the agreement in its litigation with Samsung, and that Samsung’s outside counsel then shared it with Samsung employees. In written testimony this week, the Samsung executive now says he only “pretended” to have seen the contract, Lee said in court Tuesday. He also denies saying he received any information from Samsung’s law firm. Grewal said he would have to make a “credibility determination” based on the testimony from the Nokia and Samsung executives—or basically decide who he believes. Quinn suggested there may have been a miscommunication at the meeting, saying neither the Samsung or Nokia officials present spoke English as a first language. “Scandinavian people, in my experience, are pretty good at English, but none were native English speakers,” he said. But what happened at the June negotiation is only part of Apple’s beef. Apple and Nokia both accuse Samsung of failing to comply with a court order to conduct discovery and provide them with emails and testimony to determine how widely Apple’s information was shared and how it was used. Apple’s attorney complained that most of the emails Samsung provided it with are blacked out, and Allen said Nokia hasn’t received any information at all. Samsung appointed an e-discovery firm, Stroz Friedberg, to investigate the matter independently, but Samsung has “hijacked” the company and it is clearly working for Samsung, said an attorney for Nokia, Randall Allen of Alston & Bird. Apple’s attorney complained that most of the emails Samsung provided it with are blacked out, and Allen said Nokia hasn’t received any information at all. “We still don’t have answers to the most basic questions,” Allen said. Quinn protested that Samsung was required to redact the documents because of the very protective order it broke in disseminating Apple’s information in the first place. It couldn’t prepare its witnesses for the same reason, he said. Quinn said his firm acted properly when it discovered the document on the FTP server. It was discovered in 13 hours and the recipient was told to delete it without looking at it, he said. Unfortunately, Quinn said, the document was redacted improperly a second time and distributed again.